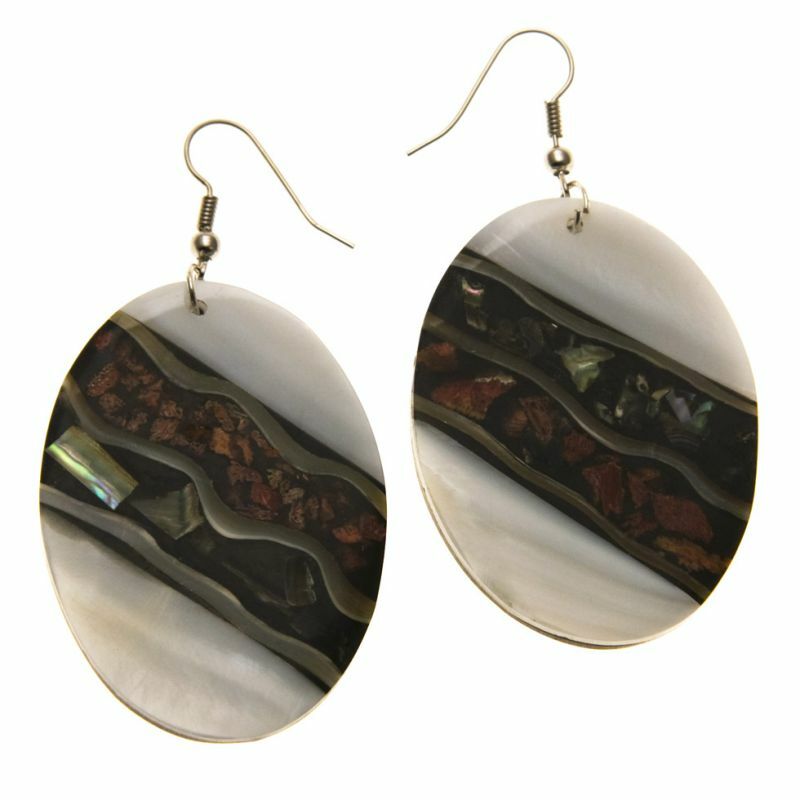 Seashell earrings with a stripe of fragments from the bottom of the sea. Size: Big (Velké): 5 x 3.5 cm, Medium (Střední): 3,5 x 2,5 cm. Origin: Indonesia.